I was looking for something for my loved one and boy these yelp reviews don’t lie. These people do a phenomenal job! I am more than happy with my order! I am now 100% sure she’s going to love it! Every occasion Anniversary, Birthday, Valentine’s Day name it, my husband always surprises me with the biggest, most beautiful flowers I have ever seen. These amazing flowers are arranged so beautifully depending on occasion, it changes and always is a new surprise. So you will never get same old same flowers. So lovely and unique always makes my day and so lovely to see each morning when I wake up and have my coffee. 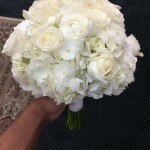 My husband only goes to 800RoseBig they are the BEST in the industry and their arrangements are beautiful for all occasions. 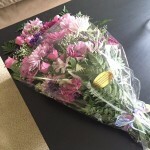 As the years go by, I noticed that the flowers that I received from my husband are getting bigger and bigger. 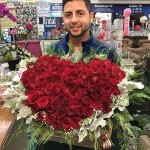 Thank you Freddy and the Team over at 800RoseBig receiving your flowers with your special designs always make any occasion extra special. Thank you for the wonderful service. Looking forward to receiving more flowers soon as I just can’t get enough. Freddy is amazing! 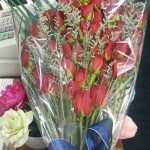 Total lifesaver, I came here last minute towards closing and he put together a beautiful bouquet of roses together. 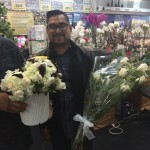 He was super helpful in making sure I got what I was looking for, I totally recommend all floral needs to look for Freddy! Freddie did a great job with our center pieces for my holiday party. I was super last minute but he was able to get them all done in time. They were very professional and looked great!! Amazing product, incredibly quick and the best of customer service. Won my business for life!!! Very great job! The flowers were done really nice and quickly! Awesome job! Open 7 days a week 7am to 7pm work easily with what you want to pay! Freddy was the best!!! 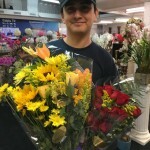 He was beyond helpful and gave me a fabulous deal… I recommend this place for all your flower needs!!! Freddie was a great help in picking out great flowers for our thanksgiving holiday! Very friendly and convenient parking. I needed last minute flowers for a for a funeral service and Fredy had the specific order I had on hand and provided terrific service. Herbert was incredibly helpful in preparing the centerpieces for our wedding reception. 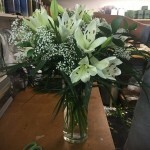 He worked closely with my wife and I to create beautiful arrangements for our special day. Wow so pleased with the Amazing Flowers we got here today! We got 12 centerpieces for party and they were absolutely stunning! 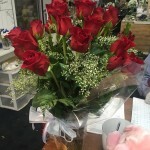 Freddy was so nice he had his staff custom design my arrangements exactly the way I wanted them. We only paid $35 each but my mother said they were worth $100 each. I think that when your regular customer of a company is a reason for it and every time we do business with 800Rosebig we are truly satisfied. If you haven’t been here before the place is really cool and big and what’s really nice is there a family business that really cares about all their customers. I would give them a 10 star review they truly deserve it. What a great flower shop! Herbert made this beautiful crown for me within ten minutes for my maternity photos! It turned out very gorgeous and he dropped what he was doing to make sure I got it immediately and didn’t need to come back. I will definitely come back for any future flower needs! Thank you so much. I can assure you I was not forced or paid to write a review. 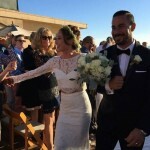 I found this place online, my wedding was in Huntington Beach and I was an out of town bride. I admit when I first walked in I was a little nervous, there’s stuff everywhere! A couple days before the wedding I came in to talk with Herbert who is the designer. He had made a mock up of what I originally told him I wanted but because it didn’t match (my fault) I had him completely change it. He was so sweet about it, and whipped something up right there for me to view. Beautiful! The arrangements on the day of were gorgeous! We used 800Rosebig for our wedding this past Friday (November 4, 2016) and were so happy with how everything turned out! My bouquet was absolutely gorgeous and my bridesmaids bouquets were the same! We had to order 18 Centerpieces and they all turned out beyond gorgeous! All the flowers were fresh and went perfectly with our theme for the wedding. 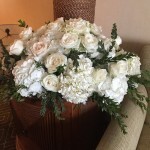 We had a ivory, white and gold themed wedding with white hydrangeas, white roses, and white garden roses. Absolutely gorgeous and really made our wedding that much more beautiful!! Hi!!! Thank you so much for the gorgeous flowers provided for our 1950s event!! It was such a great night and your service was exceptional and such a wonderful blessing to all that enjoyed!! Thanks again from us with CTZNS ministry of Harvest OC!! place is amazing tons of roses to choose from!! very friendly and price is very competitive!! hands down this is the spot… defenetly recomend it to evryone out there!! lots of verity fast and effficient… defenetly going to recomend all of my friends and family!! my next place for my wedding arrangements!! they have killer deals!! I live in Daphne Alabama and needed to have some flowers delivered to my daughter after surgery 2000+ miles away in California ! 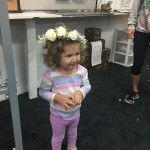 I did a Google search and found about 50 florists in her area of New port beach. I looked at photos and read reviews which confused me more. Every place was closed since it was after 9 pm their time! 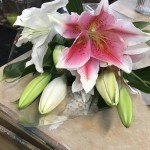 One place was still open until 9:30… So I gave them a call… “Rosebig” florist answered and I was lucky to speak with “Freddy” who was kind and helpful in making my decision to send a plant in my price range! (He never rushed me even though it was almost 9:30 which was closing time!) Freddy was a joy to deal with and Caroline was thrilled! Thanks for making our day brighter by surprising Caroline with a beautiful orchid! It’s hard on those days she needs her family and we can’t be there! 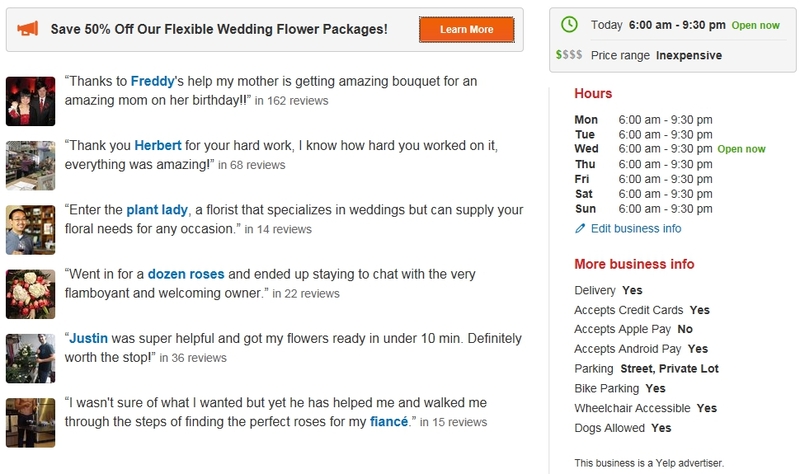 Yes Freddy is the Best!, According to Yelp, he has more 5 star reviews that any florist in the country on YELP! His Mom started this company 53 years ago and he has been well trained, LOL! Now as 800rosebig enjoys making so many brides feel special we have attracted clients for all over the world, like yourself. Our goal as you have experienced is to make friends with our customers, give the excellent service, value and quality, and when we make a mistake, make it right! With over 550 – 5 star reviews in just the last 2 years! Thank you and God Bless, Natalie! Incredible work! My girlsfriend is going to be ecstatic! Great customer service and my arrangement was done within minutes. Nothing but smiles inside the store. Planning on coming back soon! 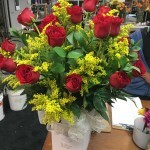 Thank you, Our roses are the best and we are half the price of all our competition! Walk in customers all always welcome and we are open till 9pm 7 days! 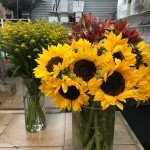 Keep coming back and tell your Friends this is a fun easy place to get great flowers all at half the price and we delivery! Natalie. 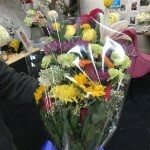 Thank you so much Mohammed, your flowers are beautiful! 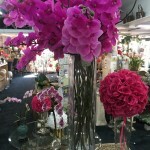 Now as the largest florist in SoCal, over 70% of our customers are repeat like yourself! Keep coming back! Next time try our 50 ROSES for 39.99 walk in special, a great value and big show, add a few more dollars to super size and WOW a huge look! Herbert is an amazing florist!! 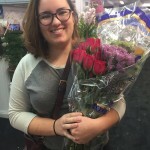 In order to trust your florist’s work, you need to see their work first and how well they listen and deliver the final product. We did not know Herbert was going to be our florist when we first signed the contract. We found out a few days before our final payment that he was to be our lead designer. I was very skeptical since the first designer we had met promised us so many things. When I went in to turn my final payment, I decided to meet up with Herbert to ensure he understood what we wanted to match our decor. He was so patient and jotted down little notes in our contract. I felt better but I wasn’t satisfied. On the day of our mockup trial, Herbert designed centerpieces that were GOOD but not great. I generally give everyone the benefit of the doubt because no one can read each other’s minds and how they envision things. My husband and I explained to Herbert what we liked and what we disliked about the pieces. Herbert then took the arrangements and 15 minutes later, he came back and gave us amazing centerpieces. Honestly I was pretty happy at that point. 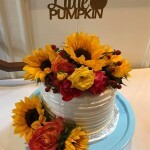 However, the arrangements turned out to be even more AMAZING on the day of our wedding. He exceeded our expectations and I truly have to thank him for all his hard work and making our decor come together. Thank you and Thanks to Herbert we have just been awarded ‘WEDDING FLORIST OF THE YEAR’ again for 2016 and 2017! THE BRIDES HAVE SPOKEN! 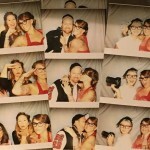 We created over 1000 weddings and party last year alone! 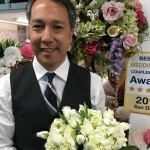 As a largest wedding florist in the state of California I can’t tell you how happy we are that we made your beautiful day even more beautiful! 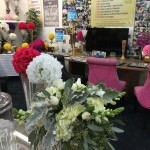 Our staff combined as over 100 years experience add we do weddings everywhere! 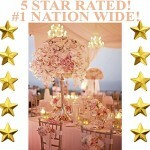 Thank you for your kind words and for supporting 800ROSEBIG WHOLESALE WEDDING FLORIST 50% OFF SALE! CALL FRED 949 698 2014! I wasn’t familiar with any places to get bouquets (except like Trader Joes or Ralphs lol) but I found this little store through Yelp. I needed to get a nice bouquet for my mom’s choir concert. Freddy directed me to Danny, the floral designer, who asked me what I was looking for and I told him the general colors I wanted. After about 7 minutes or so, he came out with a very beautiful bouquet. It was reasonable pricing too (I paid ~$45). Overall great and quick service and there’s also a snack bar while you wait. 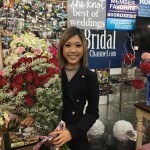 I would definitely come again to get another bouquet! For 53 YEARS 800ROSEBIG Has been owned by Natalie and her children & grandchildren, now at 88 years old, she still rocks and is still the boss! We thank you for a great review and kind words. I just got married this past weekend, and I loved the flowers! 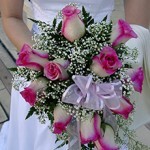 Herbert put all the bouquets together and they looked beautiful. They were exactly what I asked for and so much more. They were able to upgrade my flowers and we couldn’t have been happier. They also let us borrow pillars and manzanita branches which were also beautiful! Thank you so much! OMG! Amazing day! You’re so beautiful! We thank you so much for your kind words add hope that all brides out there can come see all the beautiful flowers here at our store. We are more than happy to rent out for free anything that you can return after the wedding, if your bride and you need help with a low price come see us we’ll do everything we can to make your special day beautiful! Good luck in your marriage and thank you very much for the kind words! Freddy offered fantastic service and got me just what I needed! Great selection! Will be back for all of my flower needs! Open every day till 9 for walk ins and delivery! ADAM thanks for the review and you so funny! Come see us again! First time back for event florals since my wedding back in March! Needed to pick up some floral arrangements for my sister’s fall-themed baby shower. And, of course, they had everything I needed and more! Fresh and vibrant red, yellow, and orange florals so perfect for my theme’s event, and they gave me a fresh set of red dozen roses for FREE! The experience reminded me as to why I keep coming back! Again, thanks so much Freddy for the excellent customer service! You can bet that I’ll be back again for my next event!